Dating Services offer a variety of services that suit any kind of users and their intentions. The worldwide revenue of US$5.0 billion in 2018 is expected to increase to US$6.3 billion by 2023. 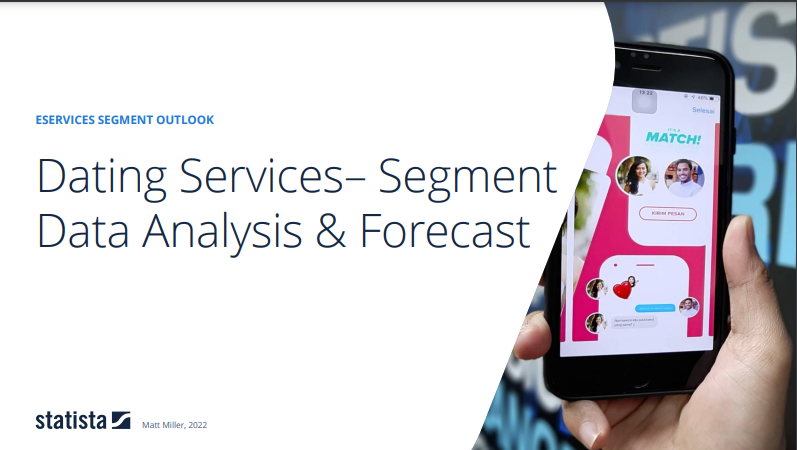 The complete Market Report with all insights regarding the entire eServices market can be found here. The report covers the Dating Services segment which contains Matchmaking, Online Dating and Casual Dating. Dating Services are generally characterized by their search functionality which enables its users to establish interpersonal relationships via the internet. This includes the focused search for life partners, flirts or sexual partners. Both dating portals and apps are incorporated into the examination.